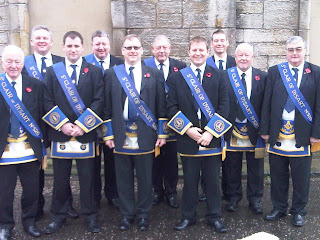 Installation 11th DECEMBER 6.00 PM. 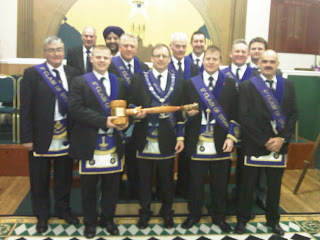 Annual Installation of R.W.M. 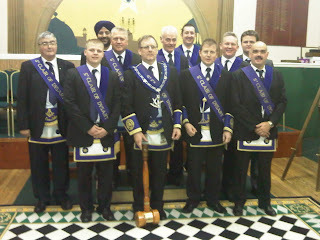 Elect Bro James MacDonald and his office bearers. Next regular meeting 9th December. 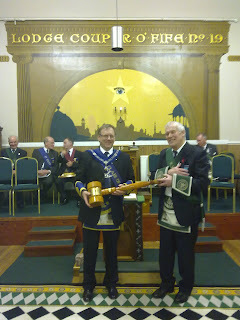 Notice to 520 Lodge members. Due to the current weather and road conditions Lodge Wemyss have decided to cancel this weeks meeting. In attendance at the Memorial Service was the RWM James MacDonald PMs Harry Smith John Hamilton SM John Hutton SW Jason Watson JW Jay Paterson BB Colin Clark Chap Chris Bray SB Miller Sword DoC Mark Conroy Bros Sandy Spence Joe Crawford Martin Clark. Following the service at the Memorial a number of the brethern joined in Holy Worship at Dysart Kirk where they were very warmly welcomed. 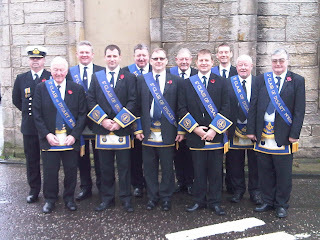 Following the service the brethern then returned to the lodge where tea coffee and sandwiches had been prepared Tyler Mike Ashworth attended the wreath laying ceremony at the Memorial Gardens in Kirkcaldy before returning to the lodge. 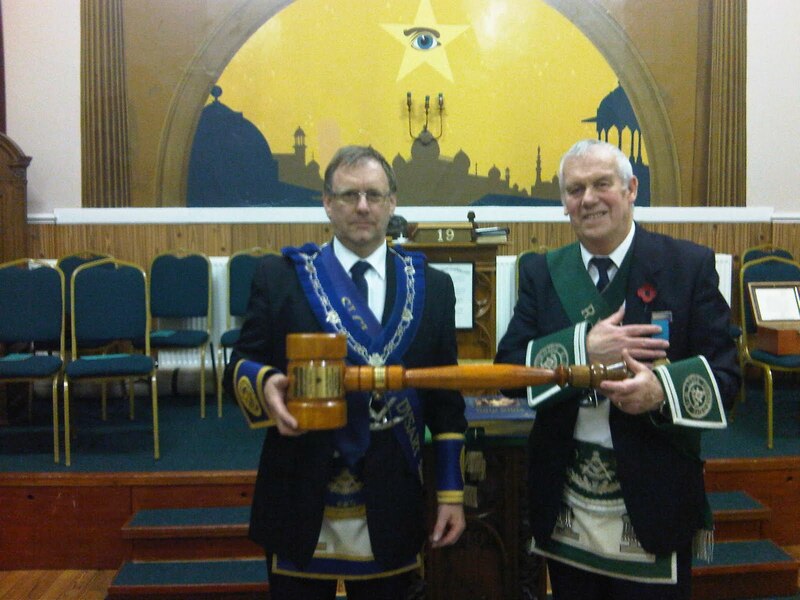 RWM, Jim, IPM. Donald, SM.John WSW Jason. 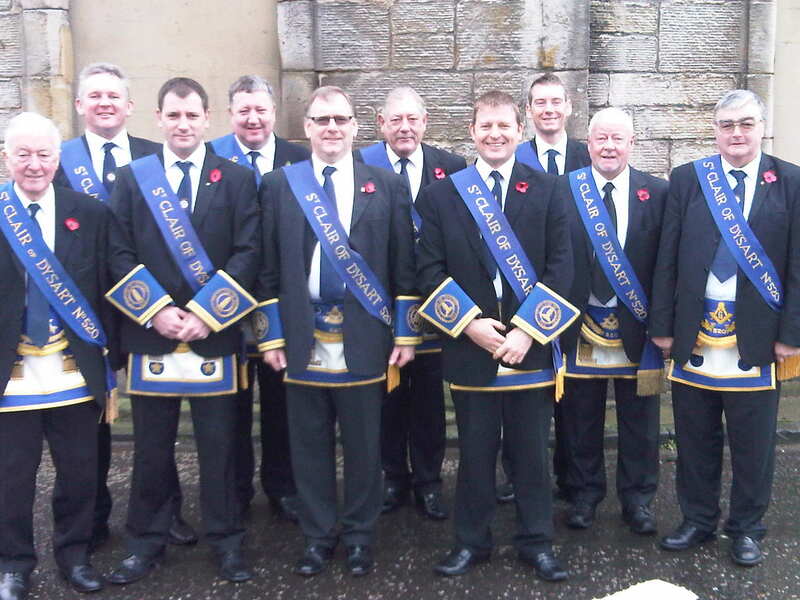 On Wednesday 3rd of December a number of members from the lodge visited Lodge 19 Coupar o Fife to relieve them of the Travelling Gavel. Next regular meeting 11th November.